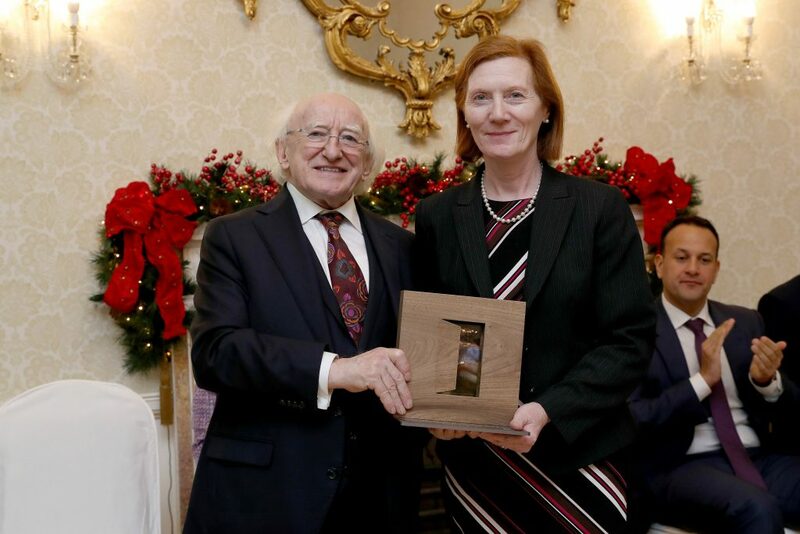 President Michael D. Higgins presenting a Presidential Distinguished Services Award for the Irish Abroad to Professor Margaret Murnane. 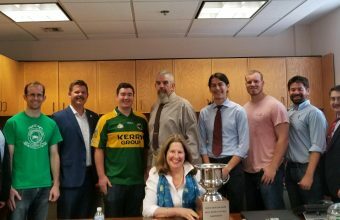 Born in County Limerick, Professor Murnane is Director of the National Science Foundation STROBE Science and Technology Center on functional nano-imaging, a fellow at JILA and Distinguished Professor at the Department of Physics and Electrical and Computer Engineering at the University of Colorado. She graduated from University College Cork before obtaining her PhD in Physics from the University of California at Berkeley. Photo by Maxwell Photography.